Opening night for "The Yard Sale"
It's that time! 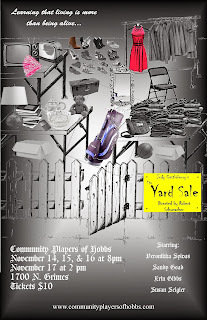 Tonight at 8 PM "The Yard Sale" opens at the Playhouse! Starring Veronikka Sylvas, Sandy Goad, Erin Miller-Gibbs, and Susan Seigler, this heartwarming comedy sees "Mona" guided through a life changing lesson by three odd sisters who run a yard sale. Kindly "Cloe", sharp-tongued "Sissy", and the forbidding and severe "Posy" show "Mona" that life should be lived, not just endured. "The Yard Sale" was written and originally directed by New Mexico playwright Judy Castleberry of Farmington. The Hobbs production is directed by Robert Schumacher. Tickets are $10 and can be purchased on our website (click the link on the left) or at the door. Don't miss "The Yard Sale"! 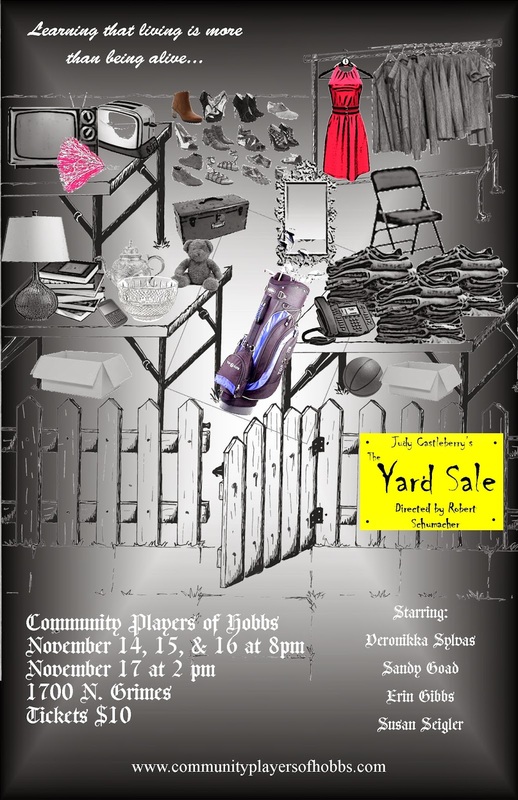 "The Yard Sale" opens in just over one week! Tickets are now on sale for "The Yard Sale". 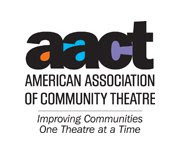 Show dates are November 14th, 15th, 16th (8 PM), and 17th (2 PM). All seats are $10. "The Yard Sale" stars Veronikka Sylvas as "Mona", a woman learning what living life really means. A car accident takes Mona to a strange yard sale run by three mysterious sisters..."Chloe" (Sandy Goad), "Sissy" (Erin Gibbs), and "Posey" (Susan Seigler)..where the sisters and reminders of opportunities she's missed teach her a valuable and life-changing lesson. 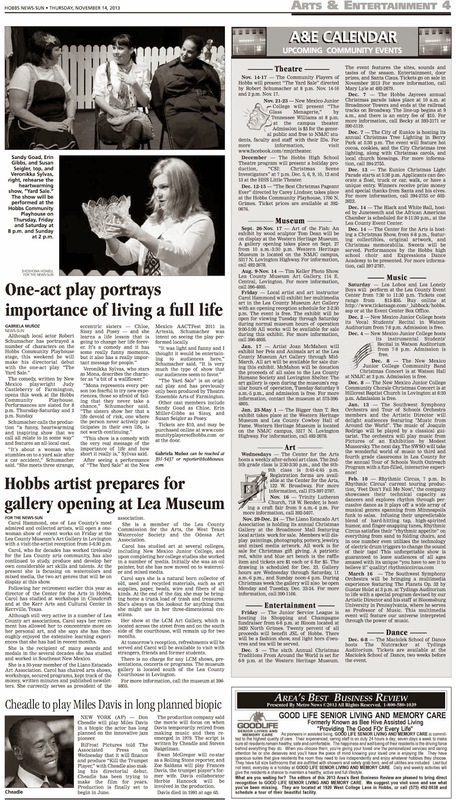 "The Yard Sale" is an original play by New Mexico playwright Judy Castleberry of Farmington, previously only produced by Theatre Ensemble Arts of Farmington. The Hobbs production is directed by Robert Schumacher. A funny, heartwarming, and inspiring show that we all can relate to in some way, "The Yard Sale" is open to all audiences.